david martin: Dude, Is There A Film Premier Tomorrow? Back in the school days Fridays were the night for riding, along with Tuesday and Thursday and pretty much any other day the sun was out. 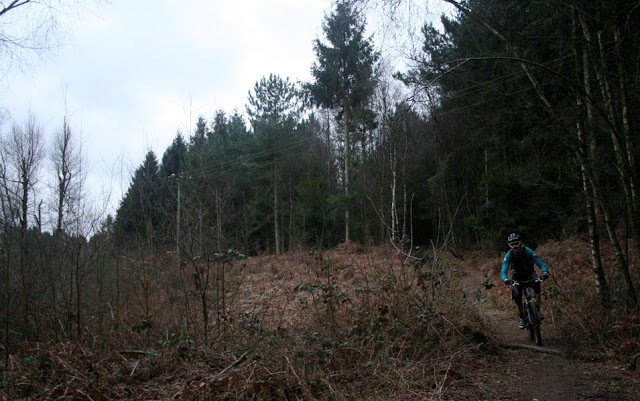 Things have come a fair way since, and so Ste and I found ourselves out in the woods, on a grey old Friday, on the eve of Pretty Sweet being unleashed on the public. We headed for trails we hadn't ridden in a while. 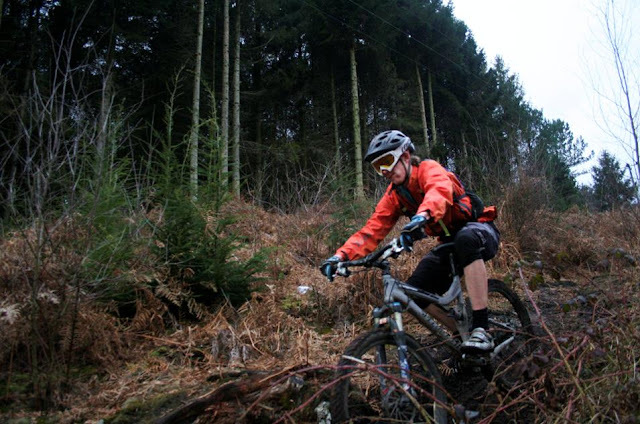 I gurn my way through the loam. 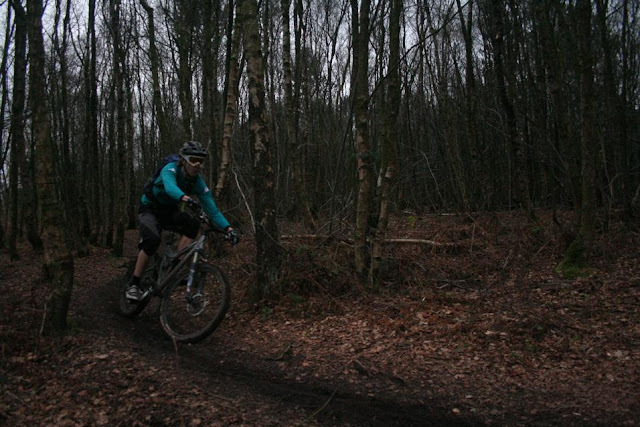 The local trails were dryer and faster than they had been in a long while. 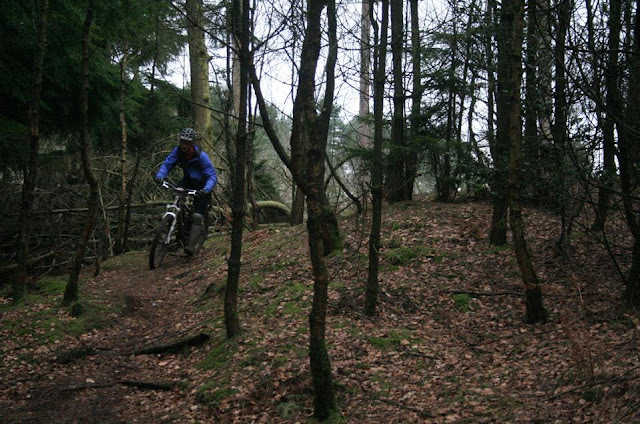 The woods is getting back to a state where it is a real pleasure to ride. The goggles were to keep the brambles out of my eyes. The photogenic late evening light failed to materialise. Never the less, it was good to be getting out on a week night again.